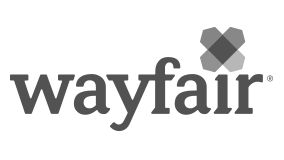 Wayfair Analytics is the engine that powers an enterprise obsessed with data. We move fast, iterating quickly on big business problems. We work smart, applying technology to unlock insights and provide out sized value to our customers. We swing big, knowing our customers won’t benefit from micro optimizations. Leveraging the largest data set for products sold in the Home space, this team treats data as an asset and determines how to maximize its business value and extend our competitive advantage. Each senior analyst is aligned with a line of business either focused on Marketing, Merchandising, Operations, Finance, Sales + Service or our core website. Whether you’re analyzing customer behavior and trends, developing new recommendations, or constructing SQL queries, you will be working with cutting edge technology and multi-terabyte data-sets. Collaborate with leaders of functional areas (e.g., Marketing, Operations, Storefront web, Finance, Sales + Service) to identify the most impactful ways for data and analytics to drive decision making and accelerate profitable growth. Develop data visualizations, including reports, dashboards, and analyses in Tableau to distribute data insights in an easily digestible manner to over 5000 global employees. Proficient knowledge of SQL (incl. Aggregate functions, joins, etc.) or other structured programming language(s) (e.g. Python, Java, C). Ecommerce or retail analytics experience a strong plus. An awesome, multinational team right in the startup hub of Berlin, Kreuzberg. A huge opportunity to be an early entrant and set the stage with us. Career path guidance and mentoring. We want to share our company with you in stock units. We pitch in to your gym membership and office sport events. And let’s not forget: the chance to join the next global giant in eCommerce.